Do you want your students to make the most of Library resources? 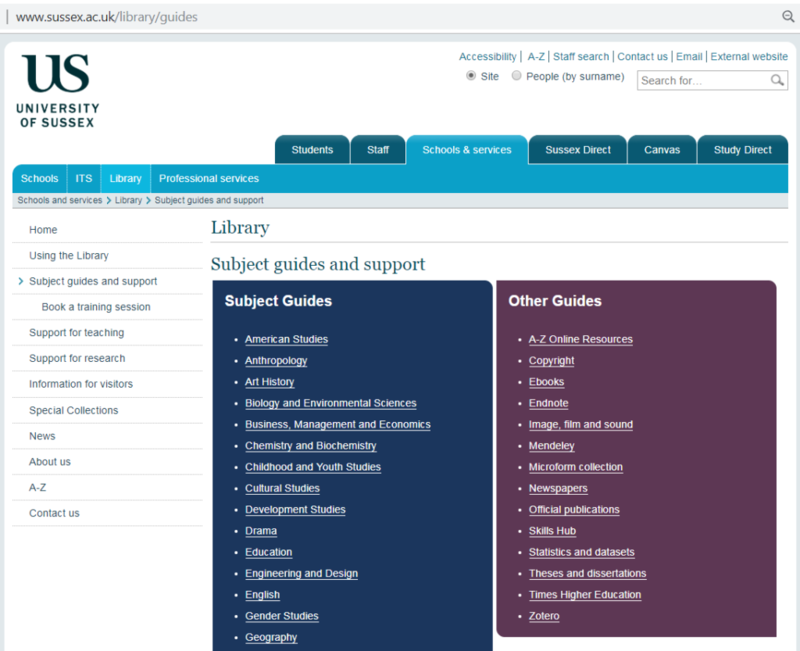 You can now embed Library Subject Guide resources in your Canvas modules, making it easier for students to find, access and use these materials from within your teaching sites. Library Subject Guides list key resources such as specialist subject databases and digital archives. You can access video resources, such as Kanopy and online newspapers, while our A to Z resources range from ARTstor to Zotero. In addition to Subject Guides, the Library also provides guides to other resources, including reference management software and theses and dissertations. You can embed Library materials as a new “Page”, or as a new “Item” in Canvas. To do this, simply add an “external tool” and select “Lib Apps Library Content”. You then choose which Library Subject Guide materials you want to embed. You can choose to embed a full guide, a single page from a guide, or an individual content box. Alternatively, download our instructional PDF for a step-by-step guide. Once you have made your choices, the item will appear in your Canvas unit. As with any Canvas resource, you can choose when to publish the item to students, and you can edit or remove the item at any time. Please contact the Library if you would like one-to-one support for using this tool. We would also be delighted to discuss how Library Subject Guides can better meet your needs and those of your students. You can email us at library@sussex.ac.uk or use the contact page on the Library website. Our thanks to Chris for this post. If you are interested in learning more about the external tools you can add into Canvas, to extend the learning and teaching options available to you and your students, please get in touch via tel@sussex.ac.uk. We’d be delighted to hear from you.